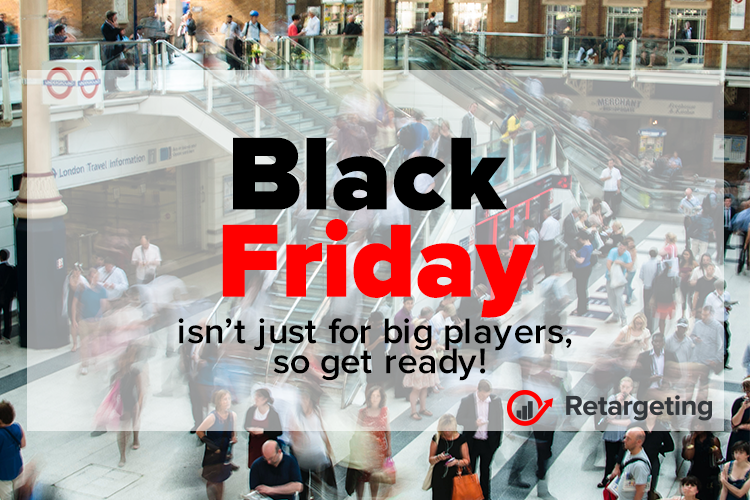 Black Friday isn’t just for big players, so get ready! Spikes in online shopping over the last couple of year have led to stories of major delivery slow-downs, with couriers struggling to cope with the huge demand. But Black Friday doesn’t have to be scary. In fact, if you prepare properly, you can make your customers very happy. Don’t get caught off guard waiting until the last minute. Now is the time to go over last year’s metrics and see what worked and what didn’t. If you’re unsure whether this shopping frenzy is a worthwhile opportunity for your business, just take a look at the numbers from last year. In 2016, in U.S. and UK alone online retailers saw their traffic explode on Black Friday, with 220% more sessions than a normal day. And despite significant discounts, Black Friday sales totaled $3.34 billion spent online (a 21.6% increase year over year). Cyber Monday sales in 2016 also smashed records, bringing in $3.25 billion and a 155% traffic boom to become the biggest day in the history of U.S. e-commerce. Also, research shows that more than 50% of holiday shoppers start researching gift ideas in October or earlier, so it’s important to plan ahead and start early. Much like Christmas jingles before Halloween, Black Friday is beginning to follow that trend with many brands starting sales in the lead up to the actual holiday. In previous years, online giant Amazon started its sales 12 days before Black Friday. Other retailers have started to get in on the trend to make the most of the pre-Christmas season. Online shopping on Black Friday continues to steadily increase. In 2012, 33% of consumers preferred to shop from the comfort of their own homes, to avoid the long lines and in-store chaos that the holiday provokes. As of 2016, the stay-at-home shopping figure has risen to 44%. This trend will continue in 2017 especially as most retail sites are mobile and tablet friendly, making shopping from home a pleasant experience. Mobile searches have grown 50% since 2016, with shoppers looking for the best brands, and then for the best deals. Mobile and tablets will continue to drive more shoppers to make online purchases. Not only were online sales significantly up year over year in 2016, mobile devices accounted for a larger percentage of that traffic than ever before. Historically, mobile conversions have been significantly lower than desktop (1.65% versus almost 3.6%). This is partly because the mobile experience is an afterthought for many websites. In 2017, businesses that optimize for mobile conversions will come out on top. In order to assure campaign success, mobile and tablet channels must provide relevant targeting and seamless shopping experiences. Personalize the experience based on behavior! Data from past years shows that new users will often spend as much as 50% more money per person over Black Friday, compared with returning users. However, they also tend to be more difficult to convert (3% conversion rate versus a typical rate of 7%). This may be because their motivation to buy is based on a sale price rather than brand loyalty. Consider how you can target your Black Friday strategy to each of these different types of users. For existing customers, try offering them personalized incentives to spend more such as exclusive “loyal customer” discounts or personalized sales recommendations. For new customers, you’ll need to identify opportunities to re-engage them as customers once the Black Friday rush is over.